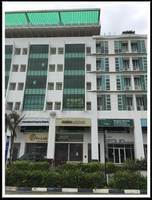 10 Boulevard is a leasehold Shop-Office at Petaling Jaya in Selangor, developed by Newlake Development. 10 Boulevard comes with 4 blocks of 6 and 7 storey building which comprises of a total of 59 units. 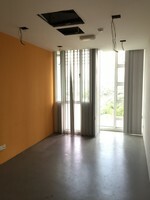 The built-up size of the unit measures approximately from 1,378 to 3,824 sf in size. 10 Boulevard provides a wide range of facilities at the Shop-Office such as lift lobby entrances, 2-level of basement parking, 32 lifts and 1,301 parking. Apart from the facilities provided, the area is also equipped with 24-hour CCTV surveillance and security guard patrols. 10 Boulevard is near to amenities such as shopping centres (KLCC and One Utama), schools (SK Bandar Utama) and college (KDU, KBU, UM and SEGI). 10 Boulevard is just located fronting the SPRINT Highway and it is well-linked with major roads and highways. It is just 5 minutes driving away from the NKVE Highway; 15 minutes driving away from the Penchala Link; 20 minutes driving away from the Federal Highway and Kerinchi Link. Get me good deal if there is any units available in 10 Boulevard.